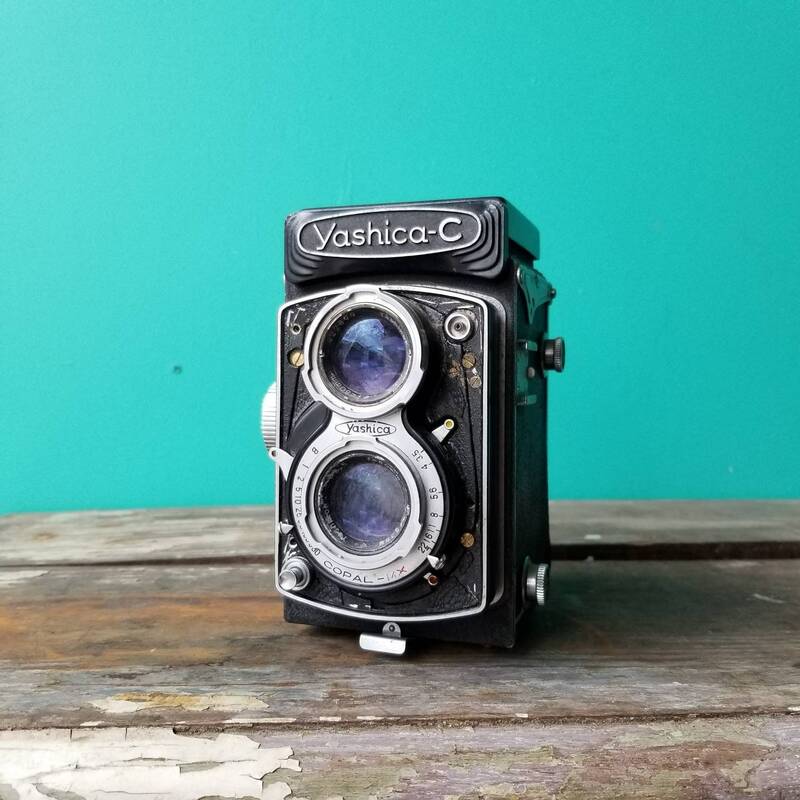 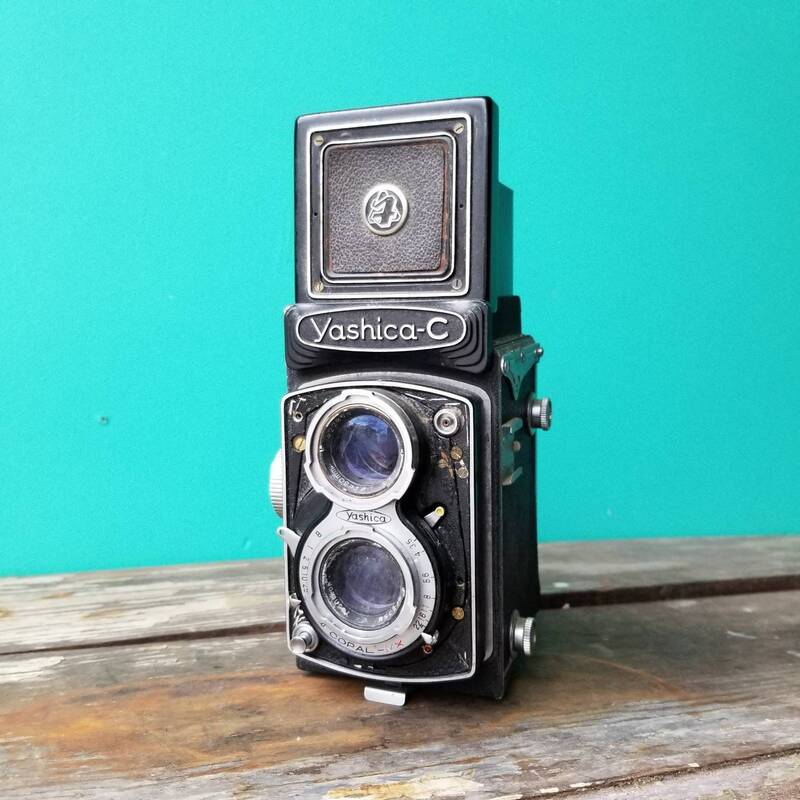 The Yashica-C is a Twin Lens Reflex camera where the focusing is done through one lens and the image is captured through the other. 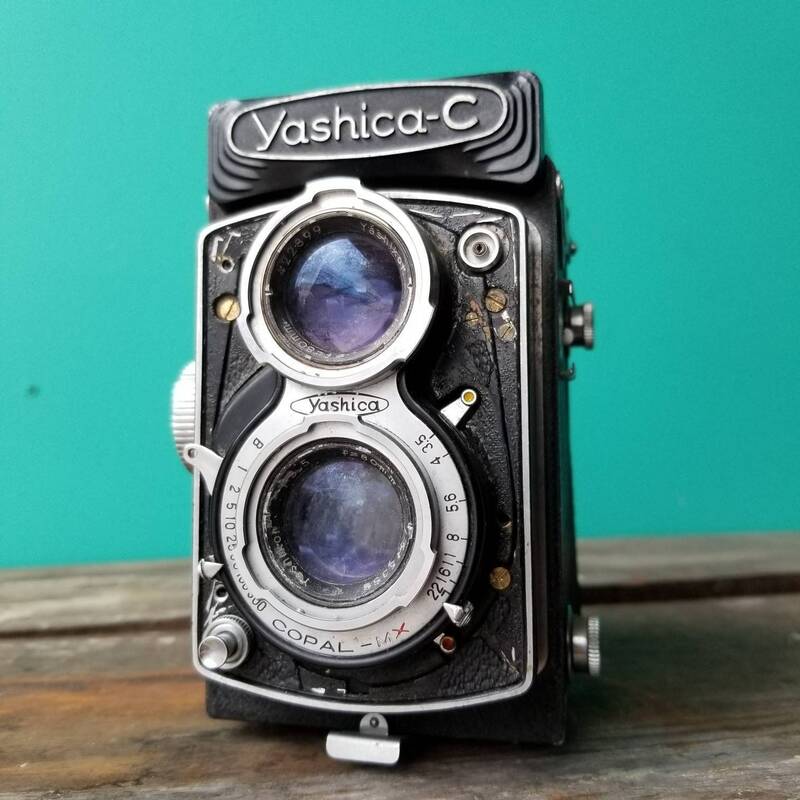 This style of camera was popular in the 1950's but soon lost its appeal in the late 1970's. 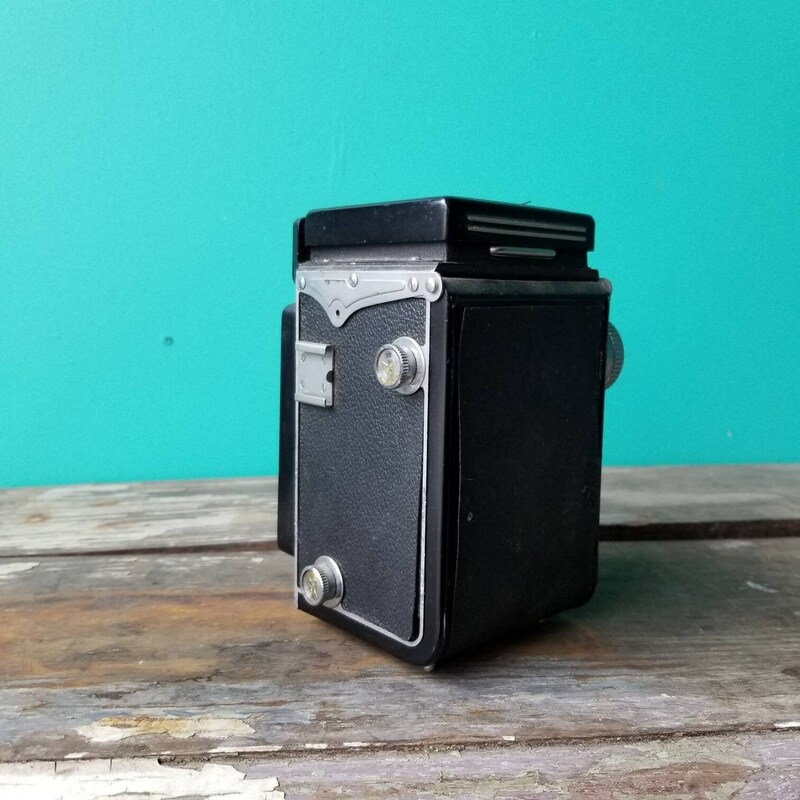 This is a non working camera which is in very poor condition. 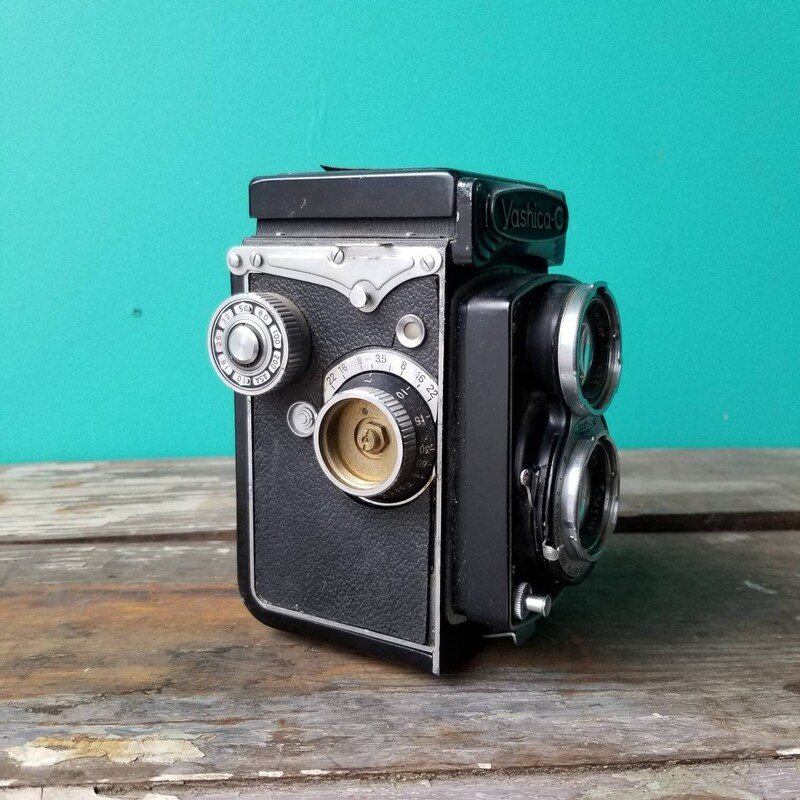 It came to us with dry and brittle leather, scratched viewing lens, and some pieces missing such as a plate from the film winding knob as pictured. 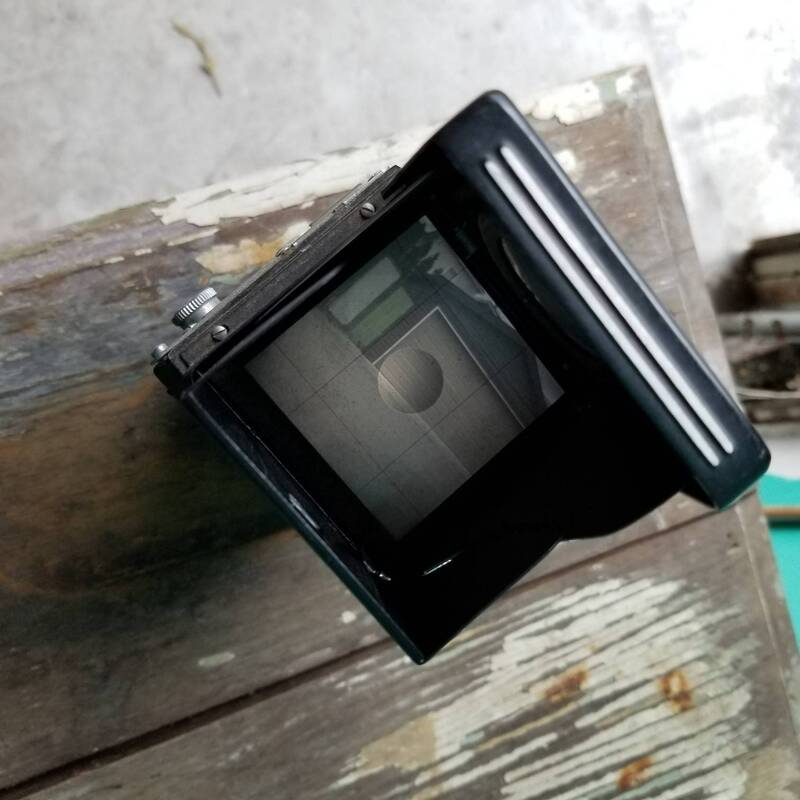 It appears the previous owner attempted some repairs.